Do you struggle when it comes to making hard decisions in your life? Bill Gates once said, “Often you must rely on intuition.” I can understand why Gates said this. If you’re trying to make a hard decision too much information can paralyze your ability to make it. When there’s a mountain of never-ending data pouring in that can change quickly using your intuition to make the final call makes perfect sense. At some point you have to decide “to decide” and stop asking for more and more information, stop analyzing and stop reviewing the bottom line. You’ve got to pull the trigger and say, “Go!” And that’s exactly what a good decision-maker will do. Intuition is like a shortcut through the mountain so you don’t have to go all the way around it. And this is the elegance of intuition. By definition it’s defined as a grasping of the whole at once. When you have reached the point where more data and analysis confuses you that is the time to tap into your intuition and let it “sift” through all that data and spit out the answer. Often you already “know” what the right thing to do is but you ignore it and keep looking for more validation via information instead. A great decision maker will use reason and logic to consider all the information plus their sense of “inner knowing.” When their “inner knowing” concurs the decision will be made. An insecure decision maker will keep asking for more information because they never get that concurring sense of “inner knowing” or if they do, they don’t trust it. Their drive for more information and certainty will cause them to put off the decision and miss opportunities. Greatness is having that inner knowing, trusting it, making a decision based upon it and then taking action on it without hesitating. This doesn’t mean that a great decision maker will never fail at one time or another but in general making decisions and taking action more often ensures you will make greater strides in your life toward achieving your goals. The ability to make decisions despite uncertainty is what separates the good from the great. Nothing in life is 100 percent certain. Life is risky and anything can go wrong. The more comfortable you become with taking risks despite the uncertainty you feel the greater strides you’ll make and the more successful you’ll be. And the more you learn to tap into your intuition the better decision maker you’ll become. 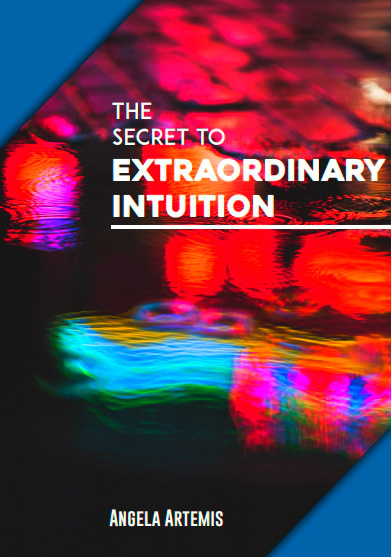 Intuition is a sense that’s available to us, in addition to the five physical senses we normally use to navigate our lives. We can pump-up our intuition and learn to rely on it more if we choose to. We can listen to our heart, follow our excitement, heed our gut and be pulled by our passion. It just takes an intention to do so, focus and consistent practice; consistent practice being the key point. You can’t try to tune into your intuition one time and think, “It didn’t work for me,” just like you can’t lift a weight once at the gym and say that didn’t work to make you a buff god or goddess either. That said, there’s a problem I see with attuning to your intuition. The problem is that intuition is based on “feelings and trust.” Intuition calls for tuning into feelings of “inner knowing,” or “certainty.” Most people are so distracted that they have difficulty tuning into their “feelings” let alone trusting them! This is a definite problem when it comes to intuitive decision making. 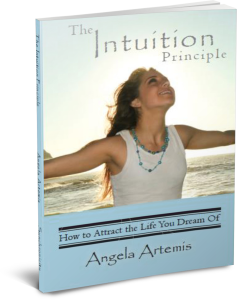 And I know this because the top question I’ve received from readers over the seven years since I started Powered by Intuition has been, “How can I trust my intuition and know it’s not just wishful thinking?” Sometimes it’s pretty tricky to know the difference and you will make a wrong decision because of it. If you can discipline yourself to “go within” on a daily basis you can overcome the distractions and tune into your feelings more directly but the problem of feeling uncertain and not feeling confident enough to trust your intuition may still derail you. And then, there’s the lingering problem of attachment to the outcome. Many times the inaccuracy with your intuition comes from your attachment to the outcome. When you’re fixated on a particular outcome you can easily be misled. Intuition is much more accurate when you’re detached from the results. But that leads us to the next problem which is how to be detached from the results of your decisions? It’s much easier said than done especially when there’s a lot riding on the decision. If your decision is a life or death decision or can bankrupt you if you choose incorrectly you’re going to have a difficult time staying detached. The way to reconcile this dilemma is to verify your intuitive feelings, instincts and hunches with a process that ensures detachment from the outcome and validates the correct decision. Research the data about the problem you want to solve and review it. Do the research and analyze it and come to a decision. If you’re having trouble feeling certain about your decision choose the best logical option and move forward. The longer you delay making a decision the more chance you have of being “late to the party” and missing the window of opportunity. You’ve got to build your decision making muscle! Formulate your conclusion. Next, hand it off to your intuition to see if you get the “go” signal. You may feel the matter is “settled” or a have a calm certainty about it. If you still feel unsure and have the urge to ask other people for their opinion or constantly change your mind and vacillate between one decision or another the next step is a must for you. The last step is to use an intuitive verification process. The entire problem of not feeling sure of your intuitive feelings or whether you’re making the decision based on wishful thinking can be overcome with this process because the process itself ensures objectivity and detachment. Intuitive Verification™ is a process using the language of archetypes and symbolism to verify or disqualify the decision you’ve chosen before taking action upon it. There is no better way to feel certain about a decision than to use the intuitive verification process because “seeing is believing.” This process works for any decision but it’s particularly well suited to major life decisions where there is a lot at stake. It’s best used for thoughtful decisions that are being made for the long term so, for this reason it’s a natural fit for entrepreneurs, business-owners and executives who need answers. I’ve been using this process and it works extremely well to give you concrete answers that you can rely upon without second guessing yourself. With the practice of Intuitive Verification™ you’ll become more intuitive and a better decision-maker and it will also enhance your creativity and problem-solving skills. Interested in learning more about the Intuitive Verification™ process? Join the Powered by Intuition Community and subscribe to the newsletter to receive special offers not available to the general public. 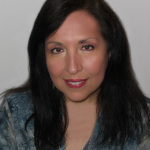 I am offering personal 1:1 training on the “intuitive verification process” to Powered by Intuition subscribers. The offer will not be on the blog you must sign up below. Sign-up>>>>>here to be notified about this opportunity for training on the “Intuitive Verification™” process. If you enjoyed this post share it with a friend on Twitter, FB or G+. Thanks! One of your books would make a great 30th birthday gift, for me. Nice approach decision making plays an important role in every stage of life specially in relationship and in career life nice post shared its very interesting and informative thanks for it. I like your 3 step verification process for decisions. What I sometimes find that there is a logical path, yet I get a gut feeling its not the right one. Or gut feeling that about the correct path. Looking back through many occasions, the gut feeling has been correct and this cannot be down to coincidence. What I call gut feeling could be intuition in you call it. 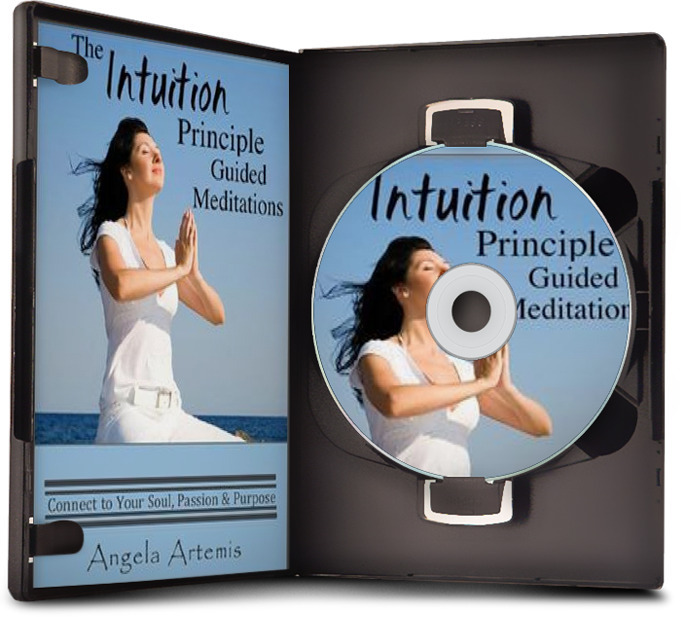 Gut feeling and intuition are one and the same.